Hearty congratulations to 18-year-old Rachael Butek of Colfax, Wis., for earning the title of 2010 ABA Birder of the Year! 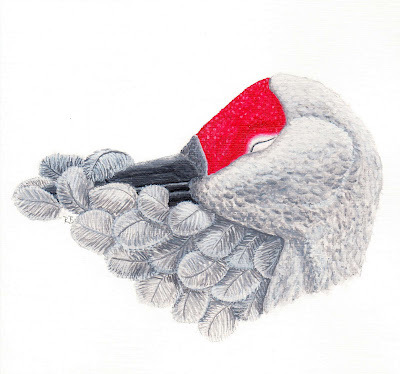 She began watching birds in 2008 and quickly developed into a skilled observer and communicator. The annual competition by American Birding Association includes four modules in which entrants can submit work: writing, photography, illustration and field notebook. Rachael chose to enter every module, even though three modules would've sufficed. Not only did Rachael go above and beyond, she placed well in all four: first place in the 14–18 age group in the writing and field notebook modules, second place in illustration and third place in photography. 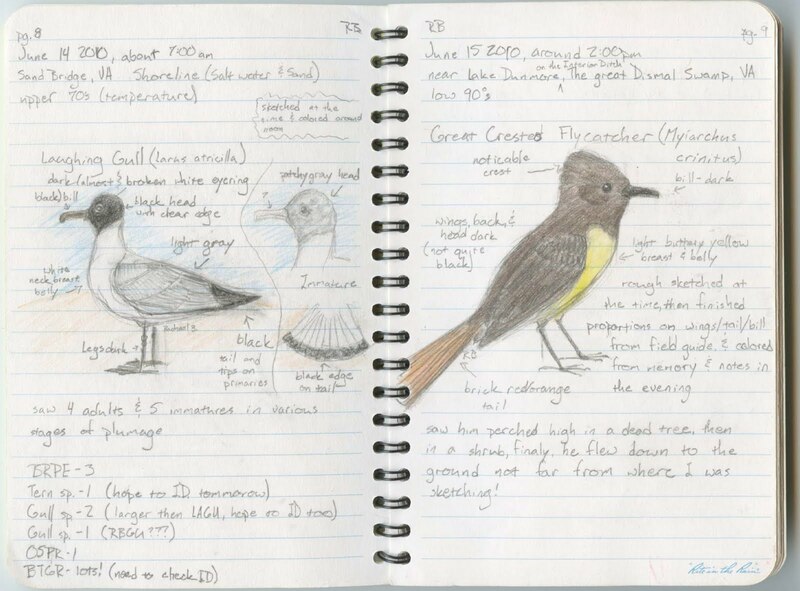 Below are an example of her field notebook and a Sandhill Crane illustration. You can see the other winning entries here. Do you know a birder between the ages of 10 and 18 with exceptional skills? Point out the 2011 ABA YBY contest!